Content warning: this information includes reference to suicide. 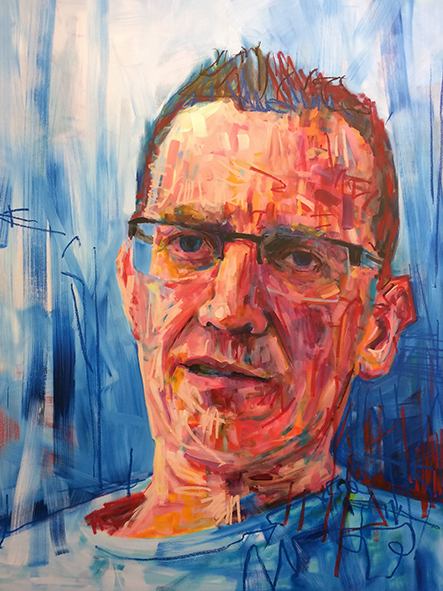 In collaboration between artist Joe Lander and Professor Jennie Hudson, Director of Macquarie University's Centre for Emotional Health, this project is working towards the exhibition of a series of up to 30 painted portraits of men of all ages, who have experienced and recovered from mental illness, with a focus on anxiety, depression and suicide. 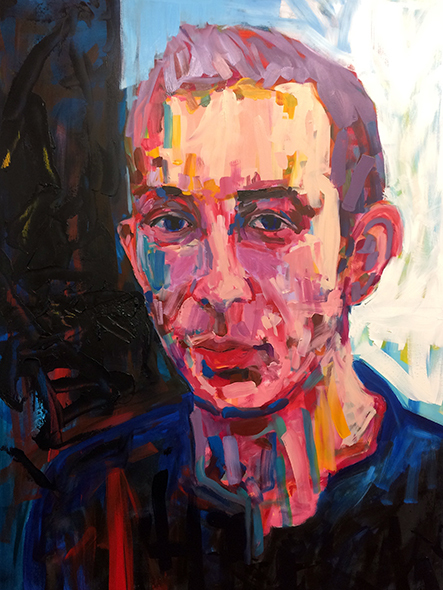 The exhibition will include an existing self-portrait, painted following the artist’s own experience with mental illness. Each portrait will be accompanied by a written narrative, detailing each individual’s story of recovery. 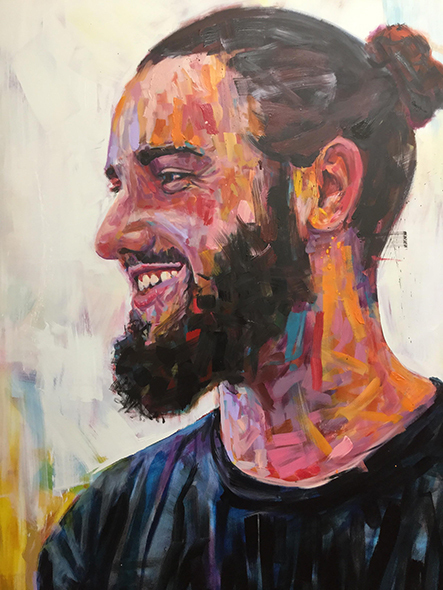 By engaging with the audience through an artistic medium, the exhibition will promote healthy conversations around men's mental health, and encourage help-seeking. Each of the men in the exhibition provides an opportunity for the viewer to understand that they are not alone, and that they too can get help. There are also references to the ways that friends and families can help and support their recovery. This unique collaboration blurs the line between the arts and mental health research. Through this project, we will evaluate the efficacy of the exhibition in reducing mental health stigma and increasing help-seeking in adolescent males, by assessing perceived stigma and help-seeking before and after viewing the exhibition. We will endeavour to scale the project and create a tour of the art works to regional Australia, allowing schools and communities to utilise the findings of the project and connect with the stories and experiences of the subjects. This project aims to demonstrate that this type of universal intervention can help lessen the stigma surrounding mental health, reducing the concerning statistics around mental health in Australia. $12 will pay for a 40ml tube of series 1 oil paint. $18 will pay for a 40ml tube of series 2 oil paint. A donation of $600 will provide for printing and consumables for research. We have some really great rewards and some big thank you opportunities for our supporters. Please check out our rewards on the right of the page. We are aiming to change the culture that surrounds the perception of mental health. Your donation will have a big impact! Please sponsor us and help make peoples lives better! A printed acknowledgement of your contribution will be added to the program or catalogue for the exhibition of the work. Receive a downloadable "thank you" card with a printable copy of one of the portraits. Receive a printed "thank you" card with an image of of of the portraits hand signed by the artist. Receive an invitation to a meet and greet afternoon tea with NSW Waratahs players Damien Fitzpatrick and Michael Wells. 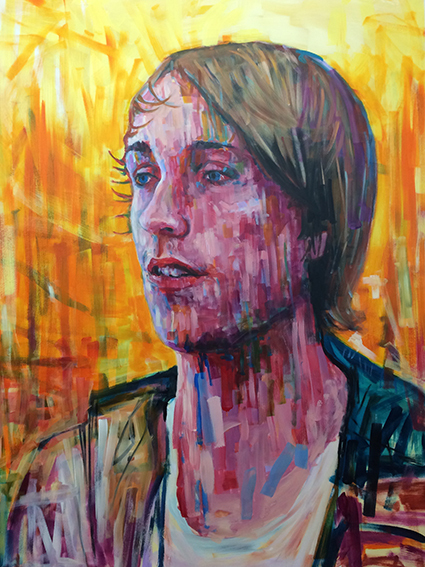 Receive an invitation to a portraiture session with Joe Lander. 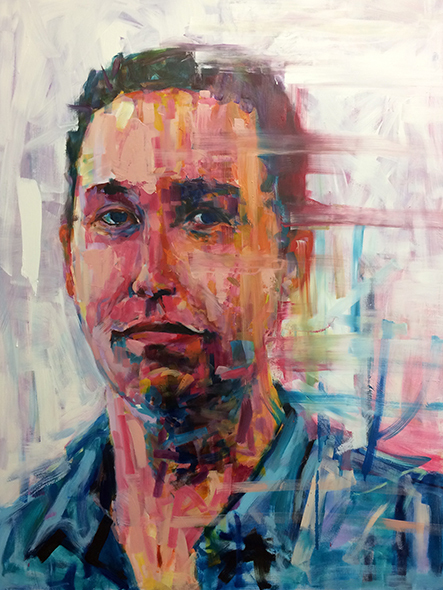 Portrait of donor or nominated person (80cm x 60cm), painted by Joe Lander, to feature in the exhibition as a supporter of the project, and retained with the collection. Be acknowledged as the sponsor of an individual portrait. Your support will be recognised and printed along with the sitter's narrative in all exhibitions. 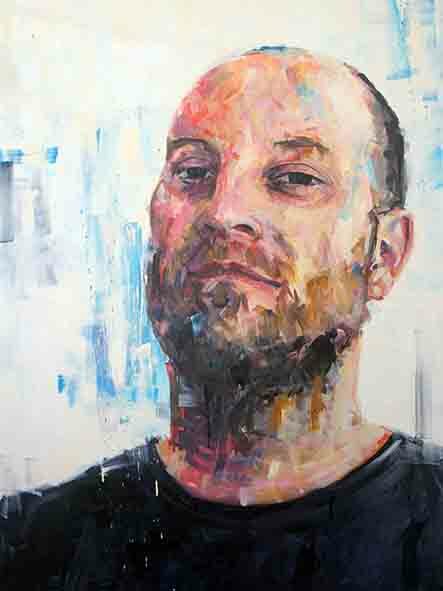 Portrait of donor or nominated person (80cm x 120cm), painted by Joe Lander, to feature in the exhibition as a supporter of the project, and retained with the collection.